Although this year’s iPhones aren’t expected to be a major upgrade over its predecessors, it seems that in 2020, Apple will go out and significantly revamp its lineup. This makes total sense as the 2018 iPhone family didn’t garner as many sales as Apple would have liked. While the tech giant will be introducing some noteworthy upgrades to this year’s lineup, the real momentum is expected to take place next year, according to the latest rumor. 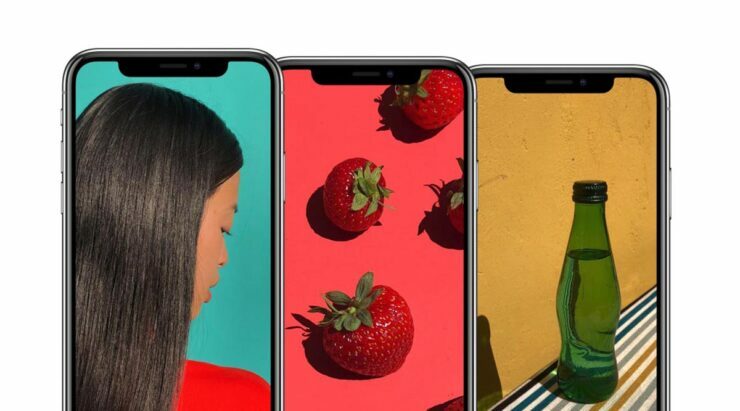 Although the iPhone XR’s successor will reportedly sport an LCD display for this year, industry insiders say Apple will switch to OLEDs completely in 2020. The screen sizes are not expected to change but the Cupertino giant may get rid of the notch cutout in 2020. Although it remains to be seen how the notch will be replaced, Apple could punch holes in the display or, as a patent has shown, it can put a matrix beneath a display that will allow the sensor emitters to pass between the pixels of the display through invisible pores. This means that Apple could place the sensors underneath the screen and place the front camera on the top bezel. This could make the top bezel a little thicker but it will allow the company to remove the notch. However, since Apple replies on design uniformity, it is highly unlikely the company will be switching to this. Apple will apparently be splitting orders for the OLED panels for the 2020 iPhone lineup between three suppliers, Samsung, LG, and the Chinese company BOE. According to people privy to the developments, the touch functionality will be integrated into the displays of the 5.8-inch and 6.4-inch iPhones in 2020, while the 6.1-inch variant will have an OLED with an additional touch layer. In addition, next year’s iPhones might also come with an in-display finger scanner, but you should take this rumor with a pinch of salt for now. In our earlier coverage, we talked about the A14 SoC powering the 2020 lineup and according to the latest rumor, the silicon will be fabricated on TSMC’s 5nm EUV process. Thanks to the improved lithography, it will be more energy efficient than the A13 as a result of the improved manufacturing process. Needless to say, the 2020 iPhone series is shaping up to be pretty impressive and may help Apple recapture market share lost to Chinese rivals next year.